The term ‘battlefield helicopter’ continues to live on and conjure up visions of sleek, fierce looking rotary-wing craft shrieking their way over friendly forces on the ground. Since the 1930s, the helicopter has made its presence felt in the battlefield. It began as a casualty evacuation tool, but has incrementally gained from experience in various scales of conflict including Vietnam, Korea and Iraq to embrace new roles encompassing attack, anti-tank, suppression of enemy air defences, reconnaissance and observation, airlift of troops, cargo resupply, fire-fighting and medical evacuation. Indeed, it has performed all roles a fixed-wing aircraft can except for strategic strike. It was to be expected therefore, that when technology enabled unmanned rotary-wing flight, unmanned helicopters would steadily ingress into battle space. 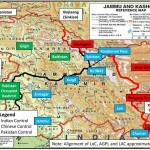 Advances in technology and metamorphosis of strategic tenets have led to a mutation of the term ‘battlefield’ into ‘battle space’ over the past two decades. Indeed, United States (US) Department of Defence (DoD) formally defines ‘battle space’ as, “The environment, factors and conditions that must be understood to successfully apply combat power, protect the force or complete the mission. This includes air, land, sea, space, enemy and friendly forces, facilities, weather, terrain, electromagnetic spectrum and the information environment within the operational areas and areas of interest.” As is the wont of theoreticians, limitations are being attributed to even ‘battle space’ as a definition of military operational environment in the 21st century. However, the term ‘battlefield helicopter’ continues to live on and conjure up visions of sleek, fierce looking rotary-wing craft shrieking their way over friendly forces on the ground. 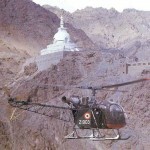 Since the 1930s, the helicopter has made its presence felt in the battlefield. It began as a casualty evacuation tool, but has incrementally gained from experience in various scales of conflict including Vietnam, Korea and Iraq to embrace new roles encompassing attack, anti-tank, suppression of enemy air defences, reconnaissance and observation, airlift of troops, cargo resupply, fire-fighting and medical evacuation. Indeed, it has performed all roles a fixed-wing aircraft can except for strategic strike. It was to be expected therefore, that when technology enabled unmanned rotary-wing flight, unmanned helicopters would steadily ingress into battle space; littoral battle space is being included in the scope of this article. The lure of an unmanned helicopter, which can be programmed and tasked to perform battlefield roles, is self evident. Complementing technologies including real time data links and artificial intelligence are being explored in all technologically advanced nations with Israel leading. As far as advances in helicopters are concerned, the US is notable on account of its Future Vertical Lift (FVL) initiative launched in 2009 to develop a family of military helicopters for its armed forces. These would be categorised into five different weight classifications; but the idea is to converge common hardware (sensors, power plants, avionics, counter-measures) and software solutions. As a lead-in precursor to the FVL, currently a programme called the Joint Multi Role (JMR) is active, the objective being to demonstrate technologies. For JMR, Bell Helicopter is offering the V-280 Valor and a Boeing-Sikorsky team is offering the SB-1 Defiant. The companies have been working on their platforms since they were shortlisted in 2014. The FVL is expected to produce new and advanced helicopters to replace US military helicopters starting 2030s. This long-winded introduction to FVL is injected into our discussion to emphasise the fact that unmanned helicopters are not a part of the original FVL vision. However, the US military has not ruled out unmanned battlefield helicopters totally. Autonomous helicopters grabbed military attention when, in 2010, the US Army tested the combination of manned and unmanned armed reconnaissance helicopters leading to a kill rate of 90 per cent of targets, compared to manned helicopter forces that located just 70 per cent. Lt Gen Mike Murray, US Army Deputy Chief of Staff for Programme Development reportedly said, “Personally, I could easily see unmanned rotary-wing aircraft in the future. I think the reality of what we will end up with is ‘optionally manned’ given that there is not a consensus on my opinion.” Earlier, Lt Gen Jon Davis, US Marine Corps Deputy Commandant for Aviation, had batted for an optionally manned plan for the next medium-lift, long range helicopter. Thus, unmanned and optionally manned helicopters are both possibilities in the ambit of the FVL, a view that is shared by Mike Hirschberg, Executive Director of the American Helicopter Society International. However, according to Dan Bailey, FVL Programme Director, the initial JMR technology demonstrator helicopters will not be optionally piloted as introducing that new element may delay the ongoing development of demonstrator models (V 280 Valor and SB-1 Defiant). As FVL approaches consummation, it is possible that autonomous helicopters offering both manned and unmanned flights become available to offer expanded mission profiles as compared to manned helicopters. Already there are interesting developments going on to convert existing manned helicopter models into unmanned ones, for example, the Kaman-Lockheed Martin K-MAX cargo helicopter and the Sikorsky optionally piloted rendering of the UH-60 Black Hawk. Rotary wing drones, of which quadcopters are perhaps the most proliferate, inhabit the civil and the military domains in huge numbers and in various shapes and sizes. 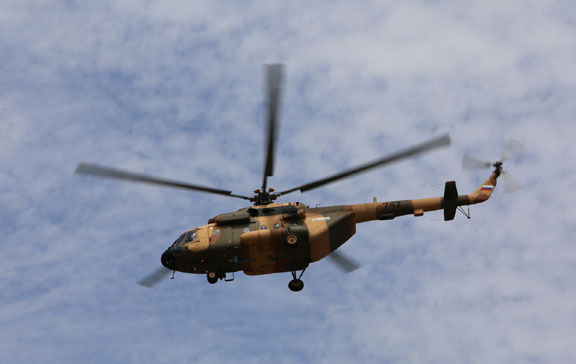 In the military sphere, their advantages are apparent with their use in roles and missions where manned helicopters would expose their pilots to high risk. These include flights over enemy territory, in very poor visibility and weather conditions, above or in close proximity of enemy troops, Nuclear, Biological and Chemical (NBC) environments and Suppression of Enemy Air Defences (SEAD) tasks et al. Leaving the human out of the cockpit also eliminates the need for air conditioning and pressurisation of the cockpit, oxygen systems, highly expensive avionics, voice communication equipment and navigational displays while reducing the size of (or eliminating altogether) the cockpit-equivalent. Moreover, the unmanned machine can be designed for high manoeuverability and agility with long operating hours without human physiology becoming a constraint. On account of the above factors, the unmanned helicopter ought to be cheaper to design, develop, manufacture and maintain. 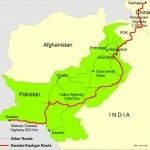 However, this may be balanced out by the high cost of unmanned control or automation technology. Finally, if an unmanned helicopter gets shot down over hostile territory, the public uproar over a pilot being lost or taken a prisoner is absent. Of course, there are disadvantages too. If a machine gets shot down, the peril of leading edge technology falling into enemy hands is frightening and dictates that a special operation be considered to recover it or failing that, destroy it. In case of a remotely piloted machine, the control is entirely predicated to unbroken data communication between the controller and the machine and in the case of autonomous operations, the ability to deal with new situations is limited by programmed scenarios. The contrast with manned operations is obvious. While a human brain can assess all inputs from the cockpit and the environment around and take mission and survival critical decisions even when some of the inputs are ambivalent, the unmanned helicopter’s situational awareness is bounded by the artificial intelligence that it houses. For the above reasons, unmanned helicopters have not proved suitable for all the roles that battlefield helicopters perform. 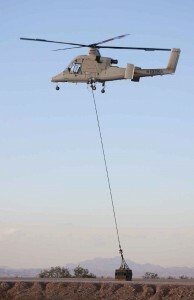 The K-MAX is an illustration of why the cargo role is the most prominent for unmanned helicopters. Engaged in re-supply of Marines deployed in Afghanistan, flying to the drop locations through known routes and involving minimal risk to life, the K-MAX has been providing an excellent platform in Afghanistan. Modified by Lockheed Martin and Kaman Aerospace from an existing helicopter model of Kaman, it can perform missions by day or night to precise locations. The K-MAX can deliver a full 2,700kg of cargo at sea level and more than 1,800kg at 15,000 feet and has helped to prove the concept beyond any reasonable doubt. Needless to say, if the cargo was to be replaced by passengers, the use of an optionally piloted machine would appear to be more sagacious. New ideas and innovations are sprucing up the unmanned logistics helicopter world. The discussion here is not an exhaustive one and touches only some prominent examples. One attractive model of a Vertical Take-Off and Landing (VTOL) aircraft was the tail-sitter which permits take-off and landing from confined spaces and has much more efficient forward flight than a helicopter, but posed immense problems of the pilot’s external visibility and disorientation during take-off. 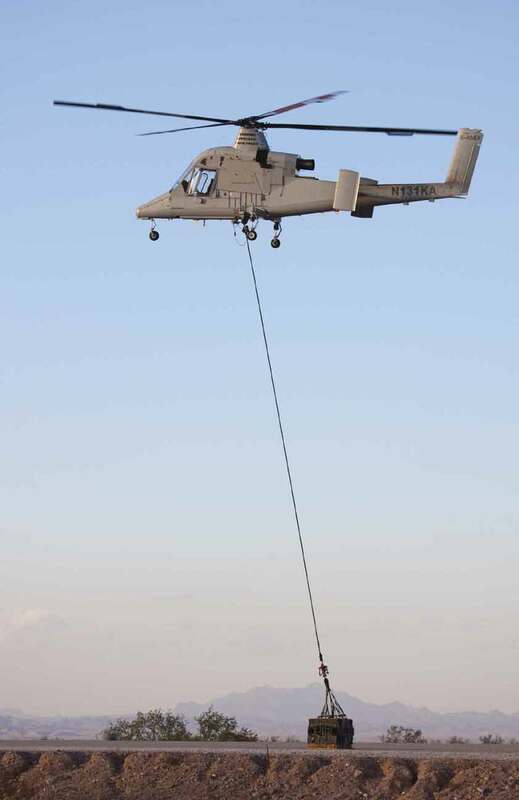 Bell is now exploiting the tail-sitter model to cultivate a cargo carrier which, although technically not a helicopter, will operate like an unmanned load-carrying helicopter. In another initiative, Aurora Flight Sciences (now acquired by Boeing) is working on Autonomous Aerial Cargo/Utility System (AACUS), an autonomous helicopter programme designed to meet requests for supply delivery via helicopter which flies to their location with minimal human assistance and autonomously land in an austere, possibly hostile landing zone. Upon delivery, the helicopter will autonomously return to its origin or proceed to another delivery point. The AACUS-enabled helicopter (UH-1) is fitted with onboard LIDAR-based sensors that enable it to detect and avoid obstacles and evaluate the landing zone and onboard mission, route and path planning capabilities to execute missions; an autonomous logistic operational demonstration was given in December 2017. Other similar successes have been the Sikorsky UH-60 Black Hawk in a fully autonomous mode deploying a fully autono mous ground vehicle under peacetime conditions and with a safety pilot and Russia’s BPV-500 unmanned helicopter with a take-off weight of 500kg and payload of 180kg in autonomous and semi-autonomous modes demonstrated at International Maritime Defence Show, St Petersburg in 2017. Israel Aerospace Industries (IAI) has also announced a successful proof of concept demonstration of Air Hopper, an unmanned cargo helicopter capable of casualty evacuation role. Director - Operations, EIH Ltd.
Air Power for Special Operations: The Need For ‘Jointness’?